Normally, omelettes are considered a breakfast food, but in our house we've created a tradition of eating them for dinner on evenings when scheduling commitments makes a more traditional sit-down meal difficult. Such busy evenings are all too common these days and particularly acute in families with tween or teen age kids that need to get driven to a party, school event, sports practice, music lessons or other event that makes a quick meal essential. Many families will default to fast food on busy nights but we try to prepare a fresh meal every day. We created Family Omelette Night as a way of taming the scheduling chaos while still putting wholesome food on the table. Nutritious - Eggs are often called natures perfect food. Eggs are high in protein, low in fat and calories, and packed with vitamins and minerals. Always on Hand - Eggs are a staple in most homes, but this is even truer for families that keep their own backyard chickens. No need to run to the market. Fast - Once the pan is hot, eggs cook in just a few minutes. This is critical if you need to be out the door quickly. Customizable - While it would be great if everyone in the family ate the same omelette, the truth is that kids can be picky. What child "A" wants can often be disliked by child "B." With Omelets, you can deal with this pickiness because each Omelettes can be customized to individual tastes. 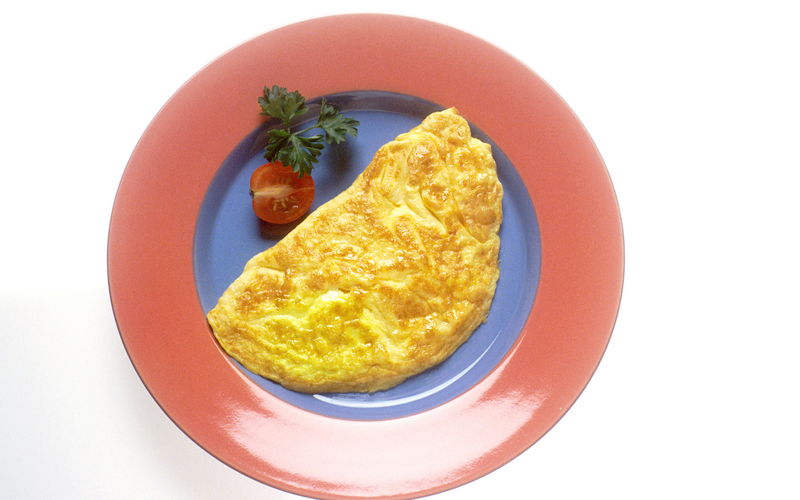 Cheese Please Omelette - any type of cheese you have on hand will work for a cheese omelet. Don't be constrained by tradition. Cheddar may be an old favorite, but Brie makes a luxurious omelet if that's what's in the refrigerator. Soft herbed cheeses are even better since they already contain the seasonings that jazz up a traditional omelet. There are lots of herbed cheeses, but one that's been around for years is Boursin. We keep this cheese in the refrigerator for cheese and cracker snacks, but it also makes a fine omelet. You can even use creamed cheese. Kraft sells a variety of flavored creamed cheeses in little tubs. If you have some in your refrigerator, give it a try. Salami Omelette - dice up some salami and place in the center of the omelette. With this and other "meat" omelettes you can add cheese or not depending on the tastes of the person getting the omelette. Hamlet Prince of Denmark - same as the above but made with ham. The best will be made from black forest ham that has smokey flavor but use what you have in the fridge. Bring Home the Bacon Omelette - This is my son's favorite. To make it happen quickly, run two skillets at once. Cook the bacon in one pan while making omelettes in the other. The same skillet can then be used to saute veggies for use in omelettes for family member number 2, 3, 4 etc. Veggie Omelette - As mentioned above, get two skillets going at once to speed things along. Cook the veggies in one skillet while making the omelettes in the other. Good veggies include onions, peppers, mushrooms or a combination of all the above. I've even used arugula from the garden. Scandinavian Omelette (Smoked Salmon/Lox/Gravlax)- OK, this isn't necessarily in everyone's refrigerator but we happen to keep smoked salmon as a staple item. My favorite omelette is made from smoked salmon and onions. Just saute diced onion in the skillet for a minute or two to soften them and then throw in some diced smoked salmon. Cook for just a few seconds and then transfer the contents to the center of your omelette or just pour scrambled egg over the top and make a smoked salmon, onion and egg scramble. 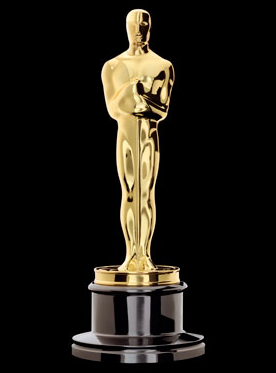 To die for! Have an omelette idea you love, post a comment and share your recipe with the readers of this blog. Feathers are amazing. Here are some fun facts about feathers that make you life of your next party. Well, at least a party where everyone keeps chickens. Feathers are made of a fibrous protein called keratin. This is the same protein that is the key structural material in human skin. Feathers are 20 times stronger than wood. Feathers evolved from scales. 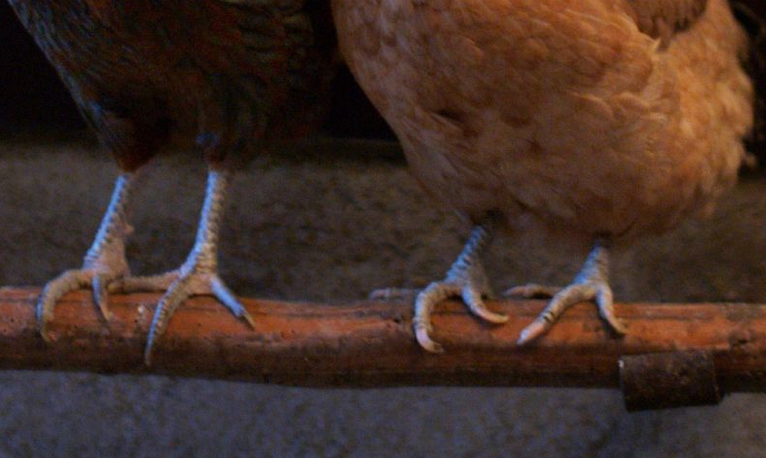 In fact, chickens have both scales which can be seen on their feet and feathers that cover their bodies. Feathers are structured with barbules that are arranged side-by-side along the shaft of the feather. These barbules have tiny hooks that interconnect in a way that is similar to hook and loop fasteners. Silkie feathers lack these barbs. As a result, they don't hook together the way other chicken feathers do. 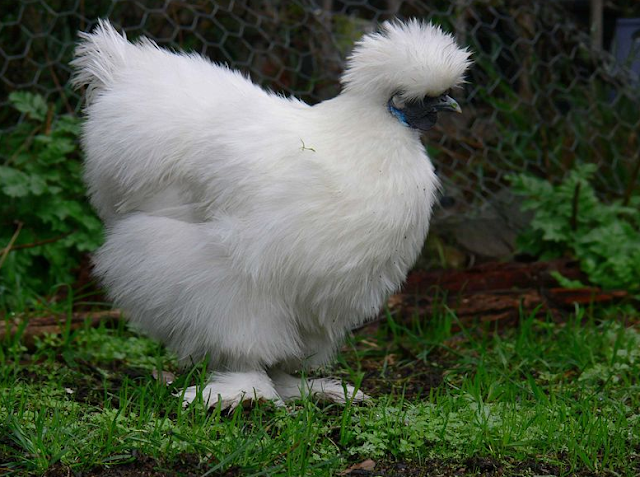 This gives Silkies their characteristic "fluffy" appearance. Silkie feathers lack barbs so they don't lock together like the feathers on other chickens. There's an opening at the base of the feather that allows blood to flow into the shaft of the feather while it's growing. Once the feather is fully grown, the blood supply is sealed off and the feather becomes hollow. A mature feather is like human hair and nails in that it is made from dead cells. That's why you can trim a chickens flight feathers without harming the bird. Insulation - to maintain body temperature and provide protection from sun and rain. Flight - smaller breeds such as bantams can fly as high as 25 feet to get to high roosting areas. Larger breeds have more limited range. Chickens molt in order to replace feathers that have become worn out, damaged or lost. Pancake during a molt. Note the blood feathers clearly visible on her neck. Feather color is the result of both pigments in the feather and the structure of the feather which acts to scatter light in the same way a prism scatters light to produce colored light. Chickens have five different types of feathers including contour feathers that cover their bodies, down feathers that provide insulation and retrices that make up a chicken's tail feathers. People have long used chicken feathers to make useful items like bedding (down pillows) but current uses include more novel applications such as diapers, paper, and even biofuel! 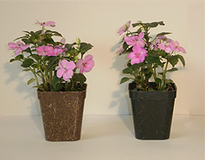 These flower pots made by Eastern Bioplastics are made from.... yup, chicken feathers. 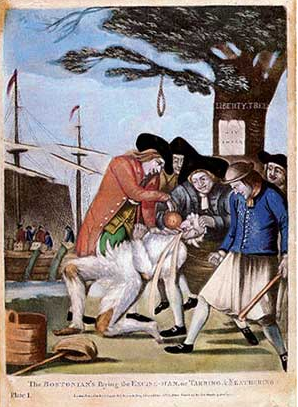 The practice of "tar and feathering" dates back to medieval times but was practiced by American Colonists to protest British taxation prior to the revolution. The tar used in this process is made from pine tar that has a much lower melting point than the tar most modern Americans are familiar with. The feathers used were most likely chicken feathers. If you can think of some other, post a comment so we all can have a good laugh. Feeding Baby Chicks is relatively easy but there a few things all chicken owners need to bear in mind when selecting food for their new birds. The key is to buy the right formulation for the your birds as they grow to maturity. 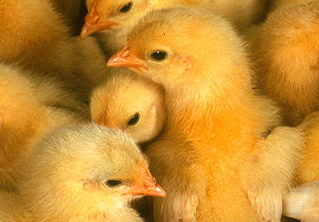 When selecting food for your baby chick, buy a formula that is described as a "Chick Starter." Starter formulas for laying hens generally have a high (20%) protein content. The extra protein is there to give chicks the nutrition they need to grow and to build adult feathers. If your flock is composed of meat birds, you should look for formulas that are even higher in protein (20-24%) as these breeds need extra nutrition to put on muscle mass. Starter feeds also differ from adult formulations in their form. 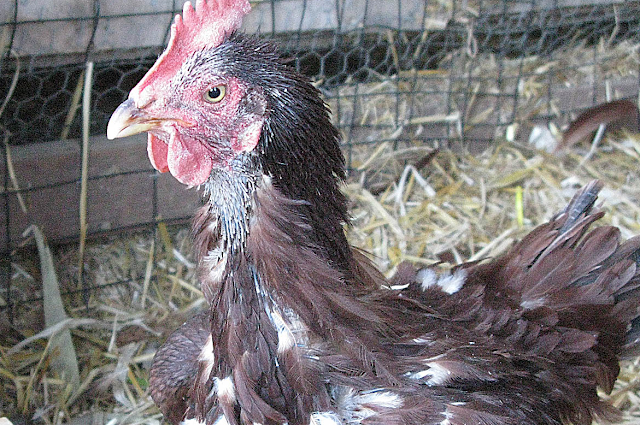 Adult chickens consume food in the form of pellets. However, these pellets are too large for baby chicks, so starter feeds are always in the form of small pieces called "crumbles." 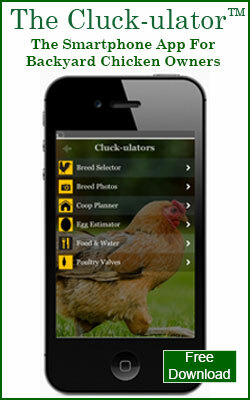 Many starter formulas also contain medications to prevent coccidiosis. This is a serious parasitic disease that can kill young birds and many owners seek formulations that contain medications to protect their new birds. 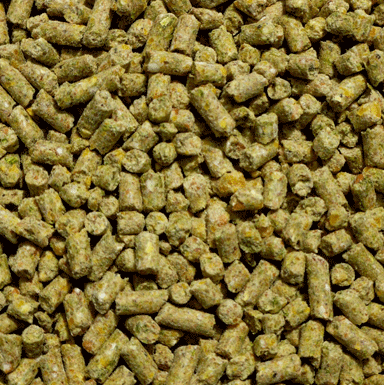 We prefer not to medicate and use an organic brand of feed manufactured by Modesto Milling. However, the choice of medicated or non-medicated starter feed is really a personal one. Baby chicks will also readily (greedily) accept vegetable scraps. If you decide you want to provide these, make sure the ripped into small pieces and that they are from fairly soft veggies such as leafy greens. It's best to limit these feedings to a "dessert course" because you don't want scraps to take the place of more nutrient dense starter crumbles. These formulas are designed to help you birds reach maturity. High protein formulas (18-20%) are excellent for raising meat birds. However, high protein formulas are less suitable for layers where you want the birds to develop strong bones before reaching laying age. If you have all layers in your flock, you should use a grower formula for weeks 7-20. These formulas are lower in protein (12%) and are formulated to provide your young birds with the nutrition they need to grow to adulthood. That said, If you have a mix of laying and meat birds in your flock, it's probably best to stick with higher protein feeds. Grower formulas may or may not contain medication and are usually sold as crumbles. Many owners that medicate their birds do so for just the first 6 weeks while others medicate through week 20. Again, this is personal preference, but all owners should stop feeding their birds medicated feed once the birds reach adulthood at week 20. Adult layer formulas have higher protein levels of about 15-17% . They are designed to give your birds the nutrition they need to maintain their bodies, grow new feathers, and, importantly, lay eggs! In addition to higher protein content, adult layer feeds are rich in calcium. Calcium is the mineral that egg shells are made from, so feed with high calcium levels ensures your birds will lay eggs with strong shells. When feeding your baby chicks don't forget that they also need a constant supply of clean water. Water is particularly important for chickens because the aforementioned feeds are dry. 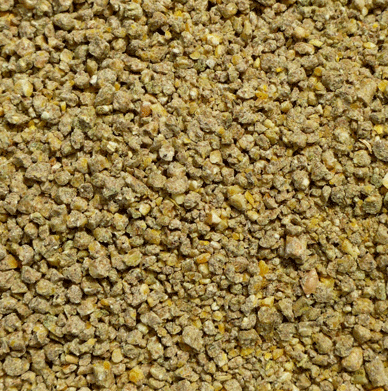 Water softens crumbles and pellets and allows chickens to properly digest their food. Use a dedicated chick waterer, not a open dish or bowl. Baby chicks can drown in bowls or spill them over and make the bedding in the brooder excessively wet. 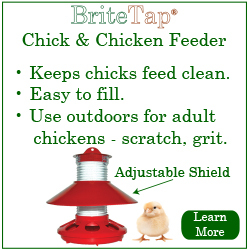 A BriteTap chicken waterer is particularly helpful when raising baby chicks. The BriteTap poultry waterer is fully covered; the chicks drink from small valves located on the bottom of the waterer. As a result of this unique dispensing system, baby chicks can't drown in the BriteTap waterer and there are no open pants to become contaminated with poop or bedding. 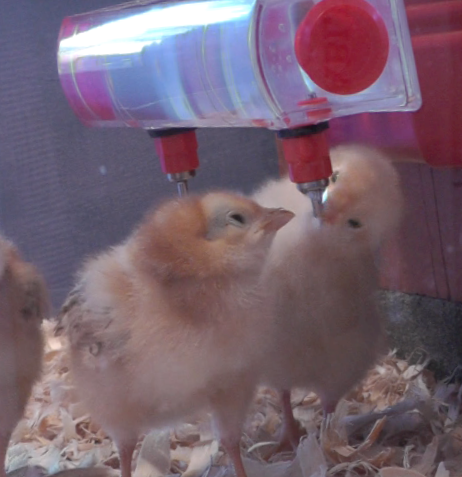 Chicks naturally peck at brightly colored objects so they easily find, and quickly learn to drink from, the red valves located on the BriteTap waterer. 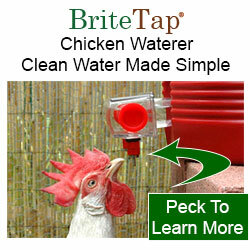 For more information about the BriteTap waterer, visit the ChickenWaterer.com web site.